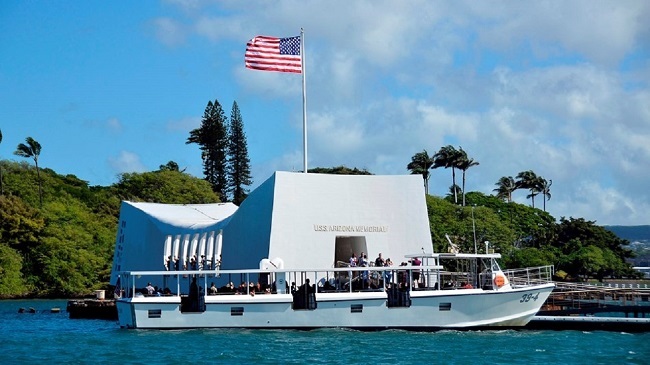 More than 1.3 million visitors tour the USS Arizona Memorial every year, making it the most-visited attraction in Hawaii. JACKSONVILLE, Fla. (May 23, 2017) – Now that summer is quickly approaching and another school year is wrapping up, families soon will be traveling to explore some of the country’s remarkable sites. Wounded Warrior Project® (WWP) encourages veterans and families to visit some of our favorite military landmarks. Whether it’s an afternoon at the USS Arizona Memorial at Pearl Harbor, Hawaii; Castillo de San Marcos in St. Augustine, Florida; Fort Sumter at Charleston, South Carolina; or the battlegrounds at Gettysburg, Pennsylvania; there are unique opportunities for warriors to connect with their communities while showing appreciation to military history. According to the National Park Service, there are more than 70 parks and landmarks dedicated to the Civil War alone. Added with locations from the Revolutionary War, War of 1812, and western expansion into the Indian Territory, there are more than 200 others to pick from. Blue Star Parks allows veterans and their families to visit national parks, landmarks, and monuments for no charge. America the Beautiful park passes are available at most national sites with either a Common Access Card or a military identification card (Form 1173). The National Park Service and each state list military parks and landmarks on their official websites. The University of Texas Libraries has compiled a list of downloadable maps of each location. The site where World II started for the U.S. on Dec. 7, 1941 remains the most-visited tourist attraction in Hawaii. A $62 million visitor center at the WWII Valor in the Pacific National Monument features two new museums, as well as a view to the sunken battleship. At this battlefield, the Civil War turned in favor of the Union during a three-day fight that turned back Confederate Gen. Robert E. Lee’s attempt to invade the North. The Civil War started when the Confederate artillery unleashed a 34-hour barrage on the fort in the Charleston Harbor. Although only two Union soldiers died in the battle, it triggered a war that lasted nearly five years. The fort on the Matanzas Bay is the oldest masonry military structure in the continental U.S., and it’s the heart of a vibrant downtown that recently was voted the best domestic tourism destination by “Money” magazine. More than 45,000 Union soldiers were held as prisoners during the Civil War at the 26.5-acre farm – all under difficult conditions. A lot of the compound remains preserved, and the site also is home of the National Prisoner of War Museum. The U.S. Department of the Interior designated the 1,100-acre battlefield as a historic landmark four years ago. It was the first time Cherokee and Creek Indians fought with both sides in the Civil War, and it marked the first major battle in the Indian Territory. The largest coastal fort in the U.S. was built with more than 16 million bricks to create a command post against pirates of the Caribbean. All Texans at the Alamo died in the 13-day battle, but it inspired other Texans – “Remember the Alamo” – to join forces and defeat Mexican President Gen. Antonio Lopez de Santa Anna less than seven weeks later. The mission still is filled with artifacts, a museum, and gardens. One of the most important Civil War battles for southern control of the Mississippi River ended after 47 days when Union Gen. Ulysses S. Grant finally cut off one of the South’s primary supply routes. One of the biggest battles of the Great Sioux War of 1876 was also known as Custer’s Last Stand and the Battle of the Greasy Grass. Crazy Horse and Chief Gall directed Lakota, Northern Cheyenne, and Arapaho tribes in a resounding defeat of Gen. George Armstrong Custer’s U.S. 7th Calvary Regiment. These two Revolutionary War sites are within minutes of each other. Patriots turned back local militia loyal to England at Kings Mountain. Four months later – and 31 miles away – Daniel Morgan defeated the British at Cowpens. Both were considered pivotal battles that recharged the Continental Army. Whether it’s for an afternoon or part of a day trip, visiting these landmarks can connect veterans and their families with significant moments in military history.